RESTON, Va. -- Recreation vehicle owners expect to hit the road in big numbers this spring and summer, and plan to adjust to higher fuel prices by enjoying frequent weekend getaways and staying closer to home, according to a new survey conducted by the RV Industry Association. Despite rising fuel prices, the latest Campfire Canvass survey of RV owners reveals that 64 percent of RV owners intend to use their RVs more this spring/summer than they did last year, and 24 percent say they’ll use theirs the same amount. Seven percent indicated they’ll use their RV less. The survey of 424 RV owners was conducted by RVIA and Cvent from March 14 through March 27 and has a margin of error of 4.5 percent. The top reasons for using their RVs more include enjoying outdoor activity, taking mini-vacations, spending quality time with family, and escaping from the stress and pressure of everyday life. More than half (58 percent) said that fuel prices will affect their RV travel plans. Respondents indicated they will still travel by RV, but will adjust their plans by traveling to destinations closer to home (74 percent) and driving fewer miles in their RVs (68 percent). One reason so many RVers will be on the road is the built-in cost savings of RV travel. A 2011 study by travel industry experts PKF Consulting found that a family of four can save 23-to-59 percent when they travel in their RV, even when factoring in purchase price, maintenance costs, and rising gas prices. RV owners agree — 74 percent of Campfire Canvass respondents said RV vacations cost less than other forms of travel even when fuel prices rise. Approximately 18 percent of RV owners are engaging in “seasonal” or “destination” camping, according to the survey. Destination campers leave their RV parked at one location for the entire spring/summer (or longer) and travel back and forth to it using a family car. Many families are taking shorter, more frequent getaways in their RVs to accommodate busy schedules. According to the survey, 70 percent of RVers plan to take more 1-4 day mini-vacations this spring/summer. 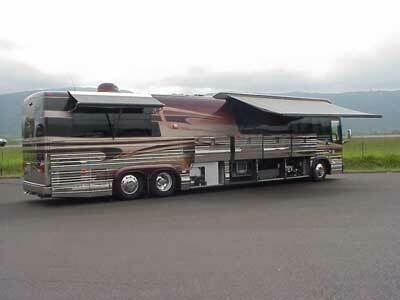 Flexibility -- RV owners appreciate the control RVs offer in today’s travel climate. Unlike air travelers, RVers can bring anything they want on vacation — including pets. According to the survey, 54 percent of RV owners bring pets along on trips. Most RVers traveling with pets bring dogs (92 percent) and cats (14 percent). Others bring along other pets such as birds, ferrets, snakes and horses. Health Benefits -- RVing is a great way to stay active while on vacation, according to RV owners. More than 71 percent said they’re more physically active on an RV trip — 76 percent said their children are more active. RVers cite the flexibility to enjoy outdoor activities (79 percent), and escape everyday stress and pressure (70 percent) as primary benefits of RV travel versus other types of vacations. 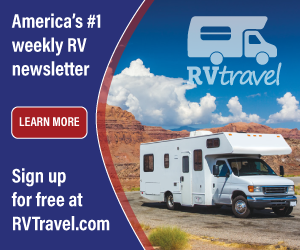 RVers Plan to Visit State and National Parks -- America’s state and national park systems are popular destinations for RV trips this spring/summer, according to the survey. 72 percent of RVers plan to visit a national park this year; 74 percent say they’ll visit a state park. Two-thirds plan to visit historic site this spring/summer. Other popular activities include antiquing, biking, visiting museums, and attending family reunions and events. RV shipments from manufacturers to dealers rose sharply in February (up 24 percent from the same month last year) as the marketplace responds favorably to the new products offered by RV manufacturers. As technology has improved and become more available, RV makers have been offering innovative new products that are lighter weight, more aerodynamic, and more fuel efficient — while still offering a mix of amenities that appeal to the many different types of RV buyers.